​When visiting campus, you will be able to see your designed brick at the Russell Wright Alumni House and Conference Center. Bricks come in either 4" x 8" (3 lines at 20 characters per line) or 8" x 8" (6 lines at 20 characters per line) sizes. Make sure your engraving information is free of spelling and punctuation errors. You can also choose to add clipart to your brick. Adding clip art does reduce the number of lines and text per brick. See below for descriptions. 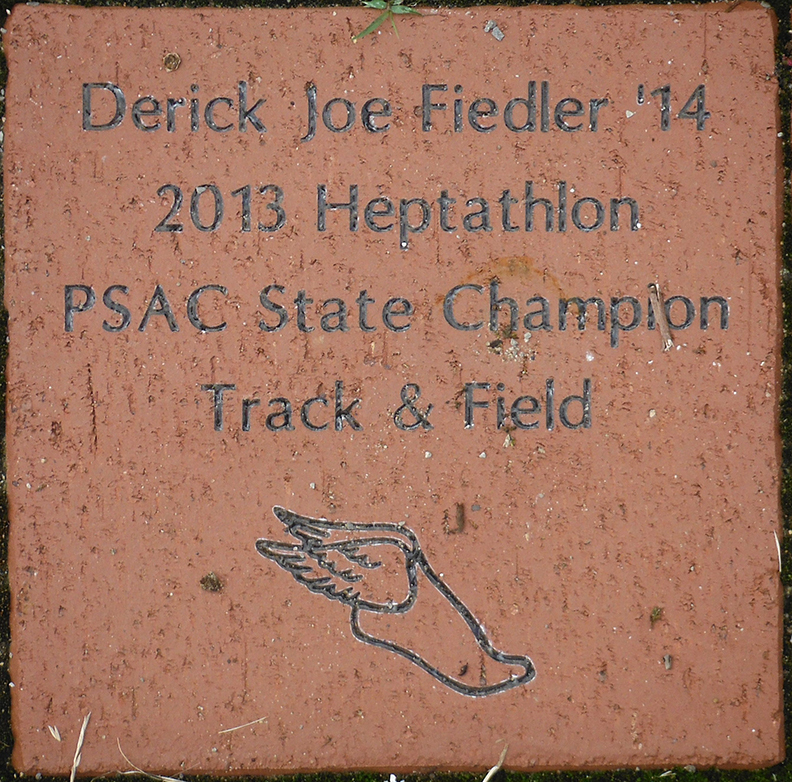 Bricks are ordered and installed once a year, during the the summer months. Your patience is greatly appreciated. ​When your brick is installed you will be informed via mail or e-mail, and sent a photo of the brick. If you'd like an acknowledgement certificate sent to someone, please complete the details in the Tribute section of the form below. Number of characters is 20 on the first and third lines. Second line is for clipart images only. Number of characters changes from 20 per line to 12 per line on all images. ​All images apply to this layout, positioned either at the top or bottom of the brick. Maximum of four lines of text, 20 character maximum. ​REMEMBER: SPACES COUNT AS CHARACTERS!